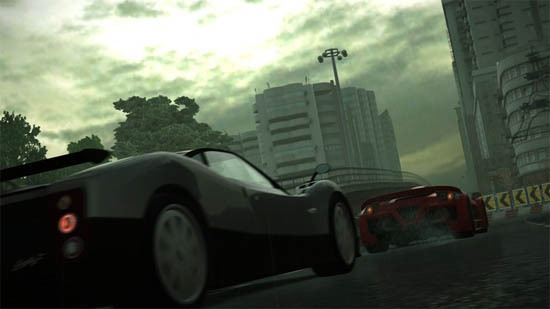 The latest Project Gotham Racing races its way onto the XBox 360 that once again features some of the world's most prestigious cars with amazing visual locales from around the world. 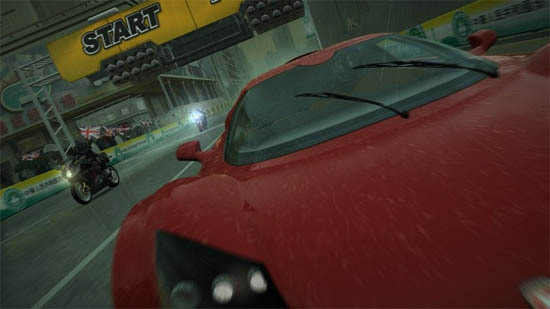 Considered the most definitive racing title on the XBox 360, this current incarnation features not only a variety of new vehicles but also improved gameplay that Bizarre Creations have remastered. The current version of the series is PROJECT GOTHAM RACING 4 that is a true racing simulator for those gamers who love realism. A unique and exciting racing experience compatible with the Xbox 360 Wireless Racing Wheel. 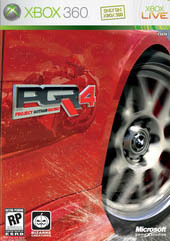 "Project Gotham Racing 4" will redefine the "PGR" franchise by delivering a unique, exciting racing experience where dramatic racing action is captured in cinematic style and players are rewarded for showing off their skills and performing precise and jaw, dropping skills and maneuvers while winning over the hearts of adoring fans online and off. The tracks you’ll race around have also been enhanced as well. Although in many cases they’re the same as the ones you’ll know from Gotham 3, they’ve changed a lot, additional markings have been added, rumble strips have been elongated and in tricky corners, the barriers have been pushed back to allow for errors and in short, they feel more like legitimate racing circuits than ever before. This isn’t just cosmetic, either, the longer rumble strips double up as suggested braking points, and the wider run off areas make overtaking all the easier and, while the benefits of these take a while to sink in, they do really add to the feel. The subtle tweaks made to the Kudos system also work a treat. While certain staples still remain, such as being rewarded for drifting, grabbing air, sticking the car up on two wheels and the like, or losing a Kudos chain for clattering head first into a wall, the changes help to make it a more balanced experience. For instance, gently brush a wall with the side of your car, and you’ll keep your kudos. Hitting top speed will also net you a considerable amount, meaning that you don’t necessarily need to worry about showboating too much or avoiding contact at all costs. The various race disciplines and car selection cater to this perfectly. Broadly speaking, these can be divided into two groups: those focusing on speed and those focusing on showing off. 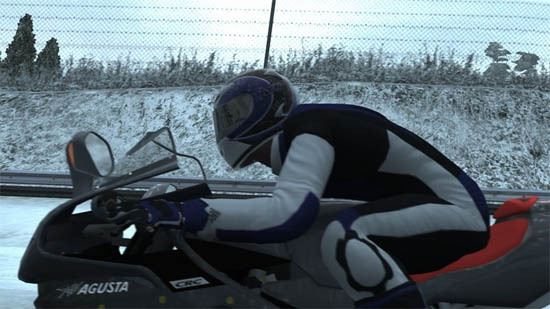 For instance, with races or speed challenges, you’ll find that a car with a lot of grip and little drift will see you hitting your targets every time, whereas more kudos gathering challenges will naturally favour a car that slides around a lot – and each class of vehicle has plenty of both to choose from. As a result, the gameplay feels fantastically balanced and rewarding to play, and although we have a few reservations about the calendar, based layout of the Career mode, the manner in which it encourages you to use a variety of vehicles to negotiate it is very refreshing and even if you don’t warm to the career mode, the arcade and other single player elements will still offer you months, indeed years, of longevity. The motorbikes in the game are amazing and add a new depth to the gameplay such as a great turning circle than a car, getting your bike through the bends requires a greater deal of precision. On top of this, their lower top speed means it’s impractical to perform stunts on straights due to the loss in pace, yet due to the fact bikes seldom slide, it’s tricky to gain kudos in the corners. Perhaps the worst aspect of all is the highly unnatural wobble the bikes undergo when you correct your steering, which feels very off balance. The game also allows use for the XBox 360 cordless steering wheel which really ups the ante! Graphically, PGR4 is eye candy on the XBox 360 that is probably the best looking racing game on any system at the moment. The first thing you will notice about this current incarnation are the spectacular gaming environments and the amazing reflective surfaces. The improved texture quality, lighting and special effects impress immensely as well, while the low ambient lighting and abundance of primary Colours in its textures gave PGR3 an almost realistic look. Other amazing things include weather effects and that real sense of speed. In conclusion, PGR4 goes way beyond its predecessor and offers brilliant gameplay, awesome graphics and fun from start to finish. Offering depth and accessibility that works well irrespective of whether you want to sit down for a prolonged gaming session or just fancy kicking back and enjoying blasting around some of the world’s most iconic cities with some truly awesome machines. Go out and race now!